In 1996 President Bill Clinton, at a fundraising dinner in New York City said this: “There are no more nuclear missiles pointed at any children in the United States. I’m proud of that.” But by 1998, the CIA’s National Intelligence Daily stated that “thirteen of China’s 18 long-range intercontinental ballistic missiles are targeted on the United States.” How could such a discrepancy occur? When did Clinton know and what did he do to prevent this dangerous situation? These are valid questions and in light of Clinton’s involvement in Russia’s nuclear weapons advancements, I shudder to think that this too was a result of Clinton’s business dealings. The chairman of Loral Space &Communications was a heavy financial donor to Bill Clinton and the Democratic Party in general. His name is Bernard Schwartz and in a six-year period between 1992 and 1998, he donated over $1.1 million to Clinton and the party. To show his appreciation, President Clinton allowed Schwartz to travel to China with U.S. Commerce Secretary Ron Brown. Clinton loosened export controls which enabled Schwartz to purchase Chinese booster rockets for use in launching Loral’s satellites. The relaxing of controls was a two-way street and gave the Chinese an avenue with which to import hi-tech materials from Loral and other U.S. corporations that dealt in sophisticated electronics. Hughes Electronics was also named in Rohrabacher’s report. Its CEO, C. Michael Armstrong lobbied Clinton to relax the export controls of sensitive technology. An internal White House memo dated December 8, 1993, and originating from the National Security Council, detailed how Armstrong pressured the administration into easing the trade restrictions with China. Armstrong had threatened to launch a major publicity campaign against the administration’s sanctions if the controls were not relaxed. In 1996, a Chinese rocket (missile) carrying a $200 million Loral satellite exploded on its launch pad. Loral and Hughes put together a team of scientists to investigate the problem. The problem(s) were identified and the information was given to the Chinese consortium Great Wall Industry, a subsidiary of China Aerospace Corporation. Armed with the information supplied by Hughes and Loral, the Chinese were able to upgrade their nuclear ICBM’s. Why did President Clinton allow this? Well, it was determined that the Chinese were secretly funneling large donations to the Clinton campaign. Federal investigators found that China Aerospace Corporation had given $300,000 to Democratic fundraiser Johnny Chung for Clinton’s election. In 1993, it was discovered that China was selling missile technology to Pakistan. 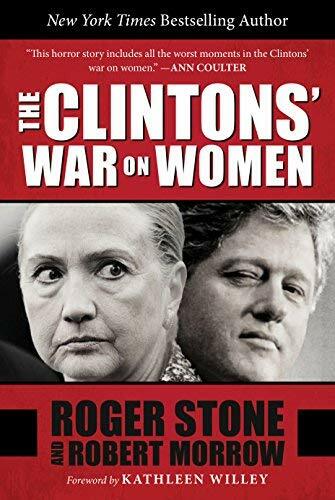 Under tremendous pressure from Congress, Clinton banned U.S. space industry The Clintonsu2019 War ... Roger Stone, Robert Mo... Best Price: $1.81 Buy New $5.60 (as of 04:45 EDT - Details) from using Chinese rockets to launch their satellites. The ban didn’t last long and in October 1994, Clinton lifted the ban. Despite reports that China had continued to sell nuclear technology to Pakistan and missiles to Iran, Clinton signed waivers for four U.S. satellites to be launched by Chinese rockets. Clinton did this over strong objections from the State and Defense Departments. Johnny Chung and Loral’s Schwartz donated another $100,000 each to Clinton. 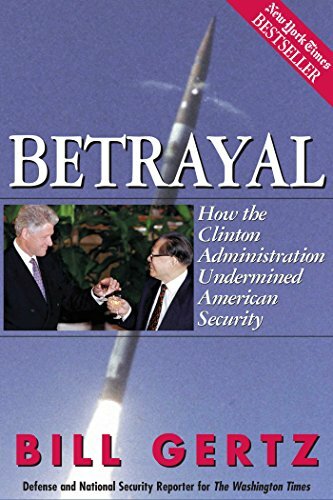 The fact that Clinton personally issued the waivers to allow shipments of U.S. technology that greatly improved the accuracy and reliability of Communist China’s missiles is grounds for impeachment, regardless of whether or not there was any quid pro quo for those decisions.